As you might have gathered from previous reviews, I really enjoy a good horror film. So when my boyfriend turned The People Under the Stairs on Netflix one Saturday morning, I had to watch. 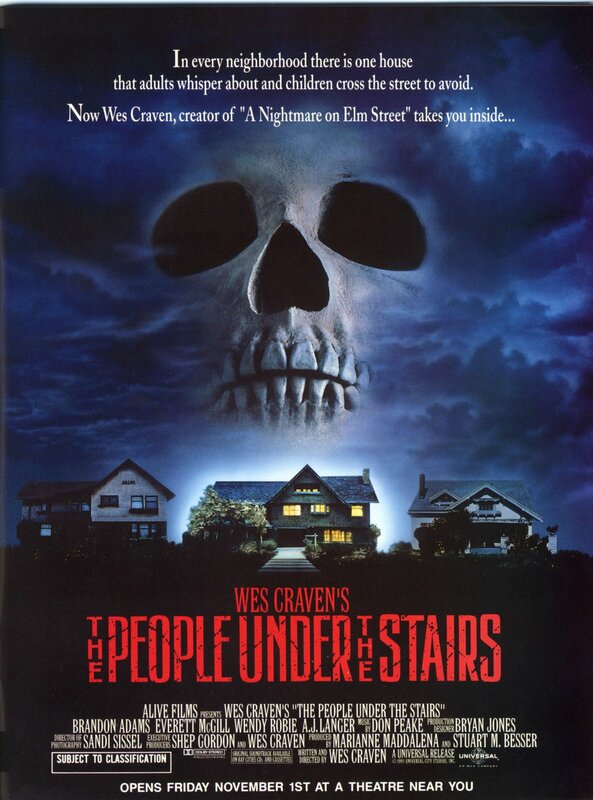 Directed by Wes Craven, The People Under the Stairs is a social critique not so eloquently masked by a horror story. Fool (Brandon Quintin Adams), a 13-year-old black boy, decides to rob a house with two older, more seasoned robbers. The house is owned by a brother and sister who “raise” a whole host of stolen children under their basement stairs. They have one seemingly normal daughter Alice (A.J. Langer). Alice befriends Fool after he’s stranded in the house when the brother and sister kill Fool’s companions. The brother and sister come from a long line of rich white people who own the buildings in the surrounding ghetto where Fool is from. You see where this is going, right? Things escalate for Fool, Alice, and Roach (an escapee from under the stairs) in a typical horror fashion. Fool eventually escapes, but returns to save Alice after finding out that the brother and sister aren’t her real parents. The atmosphere is more tongue-in-cheek than spooky or frightening. The brother and sister are hilarious caricatures of religious zealots. In one scene, the brother wears a gimp suit as he hunts down Fool and Roach. 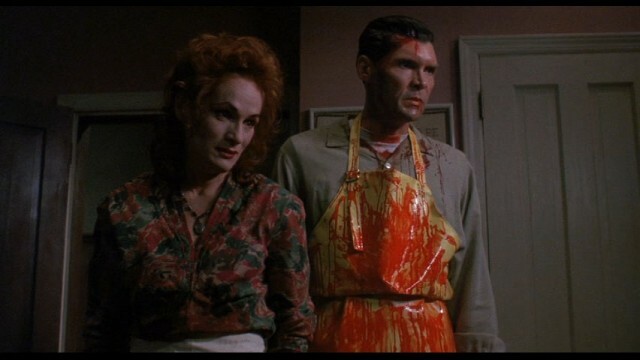 If you’re familiar with Twin Peaks, then you’ll definitely get a kick out of Everett McGill and Wendy Robie playing this crazed duo. Unfortunately the social commentary of rich white people oppressing the black community was awkward and underdeveloped. It felt as if it was an after-thought of Craven’s. The theme would have been more compelling if it had been more subtly worked into the entire storyline, rather than being forced into an in-your-face, down-your-throat, tacked-on ending. It was, to put it simply, half-hearted and underwhelming. Despite the flimsy themes, The People Under the Stairs does work as a tongue-in-cheek horror flick. It may be that Craven is not only working to critique the social structure of society, but also the horror genre. It was a welcome change of pace to see a black lead. If you’ve exhausted a lot of horror films on Netflix, then this may be a good one to throw on. But it’s by no means a necessary watch. This was my first time watching it. Definitely a good flick overall. As a horror lover, I did enjoy it. There were some flaws that I outline above, but they were forgivable. I’m so angry. I can’t get it on netflix.